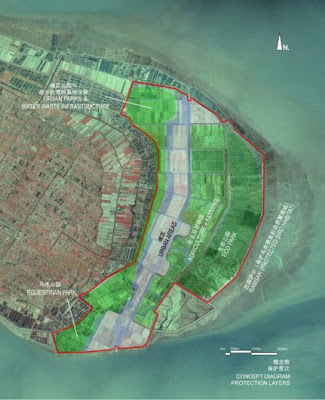 Dongtan (东滩), a small town on the eastern tip of Chongming Island (崇明), north of Shanghai, has been slated to become China, and the world’s, first eco-city (生态城市). The Guardian, USA Today, and my personal favorite BLDGBLOG have all given some details as to the ambitious plan laid out by the Shanghai Industrial Investment Corporation (SIIC), China’s biggest developer, and Arup, one of the world’s biggest engineering consultancy firms. 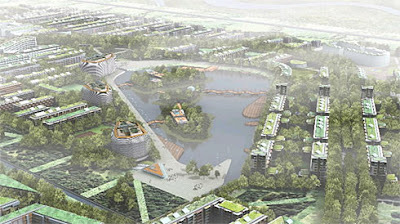 By 2010, Dongtan is planned to boast a “demonstrator” inhabited by 50,000 people, growing to half a million by 2040. 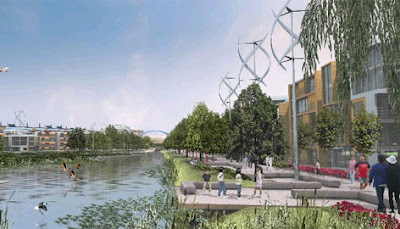 Image from Plataforma Urbana of the planned development area. The development will be in the Dongtan Ramsar Wetlands, which could cause serious complications. The Dunlin, a migratory shorebird, goes through the area according to Wetlands International. 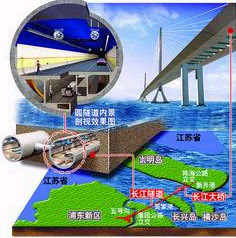 Complicating things as well is the Shanghai Yangtze River Bridge and Tunnel project, which will be one of the longest ever constructed, and will drop traffic off quite close to Dongtan. With China’s car growth, and the expected boom in cross traffic between Shanghai and it’s northern neighbor Jiangsu Province, this might be a pollution problem for the island. All the same, eco-development in the area is booming, with both Chinese and German firms exhibiting ecofarm projects at Shanghai’s EcoBuild 2006. 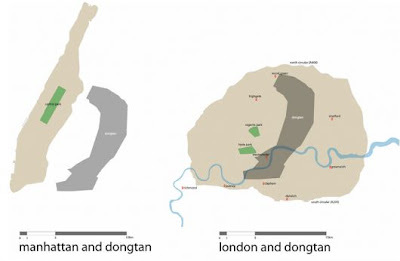 Comparison of the Dongtan area to Manhattan and London, again from PlatformaUrbana. Artists renderings, below, from the USA Today article. 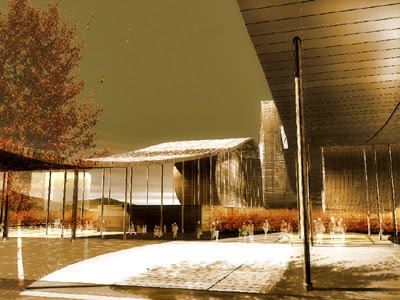 Another artist rendering, perhaps of the visitors centre. All of these are reportedly from Arup. Dongtan of the future at night. Seems awfully bright for a conservation city. 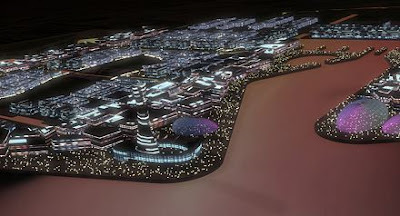 The proposed marina. The yachts ought to give away who might actually live there. This entry (permalink) was posted on Thursday, March 1st, 2007 at 10:50 AM by davesgonechina and categorized in China.